One of my followers, a guy called Ricky Wallace, was contacted and commissioned on an interesting new project by Rick Carthew. Rick wanted a studio quality model of his ideal starship Enterprise. The problem? He didn’t really know what it looked like. So after 6 months of researching every known version of the Enterprise, and after a lot of hard work, Ricky managed to come up with this superb looking starship. 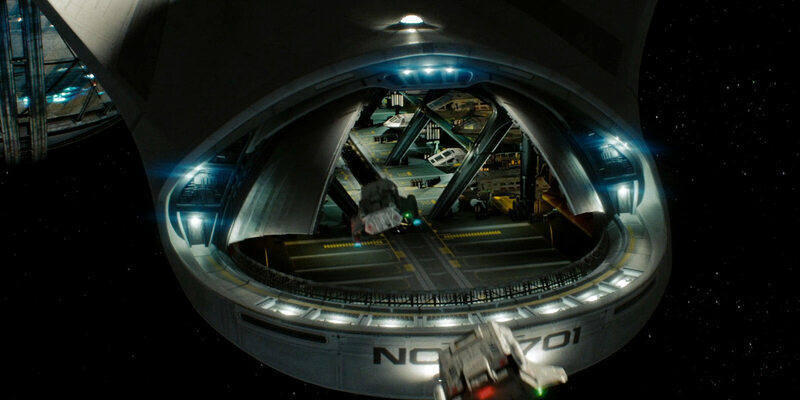 The elements of the various Enterprise’s include the saucer section from the refit Enterprise, the deflector dish from the original Enterprise, although recessed into the original series engineering hull, the warp nacelle grilles from the NX-01 and the impulse engines from the new JJ Abrams Enterprise. Now, I am a Connie lover, the refit and Enterprise-A connie, but I have fallen for this ship alot. Using the best elements from all the ships is a great idea, and well executed. 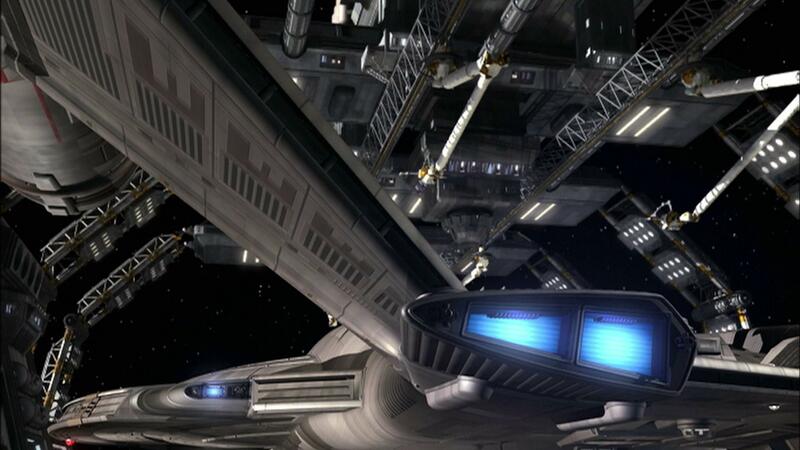 Below is a few comparrison images, and a couple of the finished ship and her shuttle craft. Looks like the impulse engines are form the JJ Abrams Enterprise, with a slight modification. 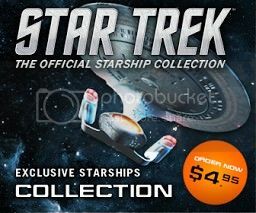 The deflector dish and engineering section are straight from the classic Enterprise. The saucer section retains the TOS shape, with top hull markings from the refit Enterprise. 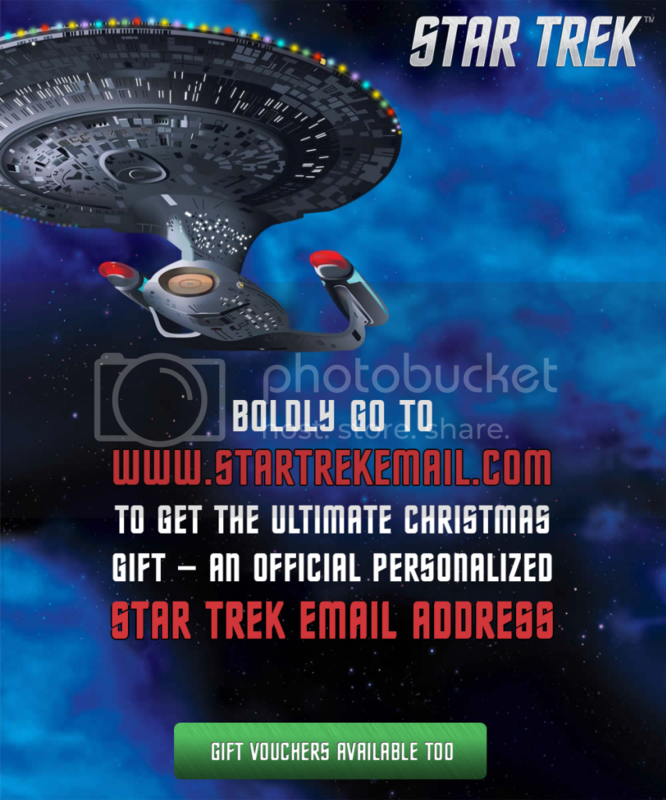 Under the saucer retains the TOS designs. The original objectives for my TOSE was to keep all of the original proportions and original silhouette of Jeffries’s TOS E in place, (with only one “major” structural change to the silhouette, the pylons and their support attachments and some minor tweaking to the bridge) which is what we have done; and then simply re-skin this ICON. 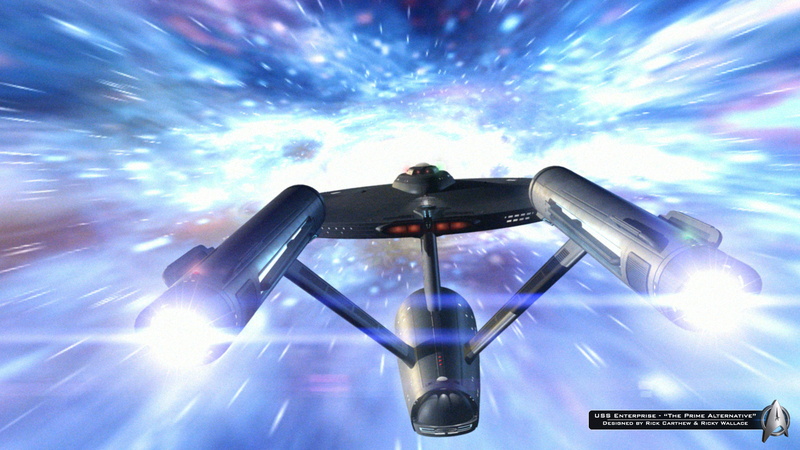 I began with a straight line forward from the design language of the NX-01, and through the design language of the Kelvin to find “That Place” just prior to the more refined (art deco) language of the TMP Refit — and asked, what ADDITIONAL design elements would need to be infuse into the TOS E to make it fit seamlessly into the architecture of the Star Trek world as we know it today? > The deflector dish of the NX01 has the same TOS E deflector (radar) dish, but it has been squeezed on the ” Y ” access and then position closer to the deflector housing and back illuminated with blue lights. The TMP E has a complete redesigned dish which has been position within the deflector housing of the secondary hull and is illuminated with two different power setting reflected by an Amber/Gold light setting and a Blue light setting. My Deflector Dish, with backlit array of 3 gold & blue illuminated rings, attempts to strike a balance between the NX01 deflector and the TMP deflector— while still maintaining the original TOS architecture. > Looking at the design shape of the NX01′s four impulse drive ports and the size/scale of the Kelvin’s impulse drive ports, and then looking at the shape of the TOS E “impulse drive housing”, it seemed to be a perfect fit, to insert the design shape of the four NX01 impulse drive ports into Jefferies elegant TOS E’s impulse drive housing; and then we increased the overall size of the TOS impulse drive housing by about 12%. The end results created (for me) a look that is more consistent with a progression from the NX01— with a scale closer to the Kelvin’s and a possible predecessor to the shape and enlarged scale of theTMP Refit impulse drive ports. We were moving through this design thesis when I realized that instead of just making an upgraded, or a refit forth season” type” version of the TOS E. I would take the re-skinning full circle and build the Enterprise that I (and maybe a few other “old” hard-core TOS trek fans) might have liked to see in the re-boot of the franchise in 09′. So, I took my design concept one final step further and asked, since the TOS E and the TMP Refit were the bases for the design of the JJprise and the Kelvin — Why not also borrow some of the design cues from the Kelvin, the JJprise and a bit more from theTMPE and infused them onto Matt Jefferies original TOS E design architecture. © Ricky Wallace, used with permission. So you guys are claiming credit for all the design updates, huh? Seems a lot are aped DIRECTLY off my TOS.5 ENTERPRISE. Bussards blades and aft end of nacelles most notably, EXACT copies. Sad you have to plagiarize my work to feel good about your art.